Year of construction: End of 19th c. - beginning of 20th. c.
Current building of Breksi manor is comparatively new - it has been built at the end of 19th century or beginning of 20th century. History of this manor is much longer than this. 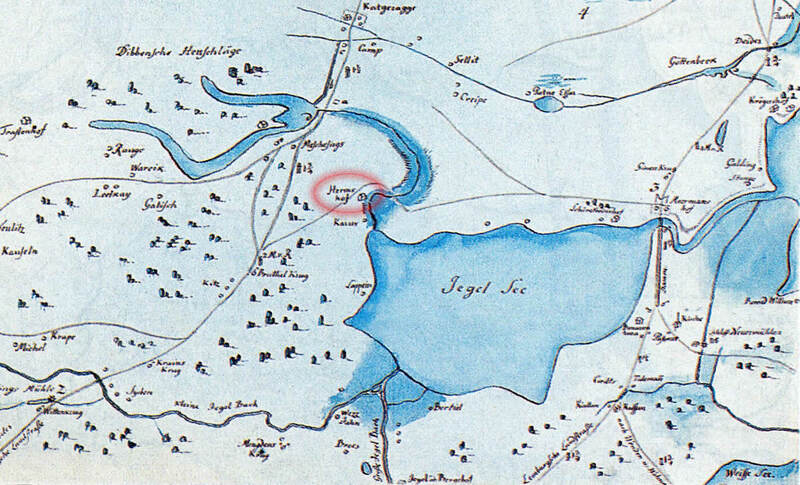 Already in the Swedish maps from 17th century there is shown manor near the mouth of Pikurga stream, marked as "Dreilings od Herms hoff". 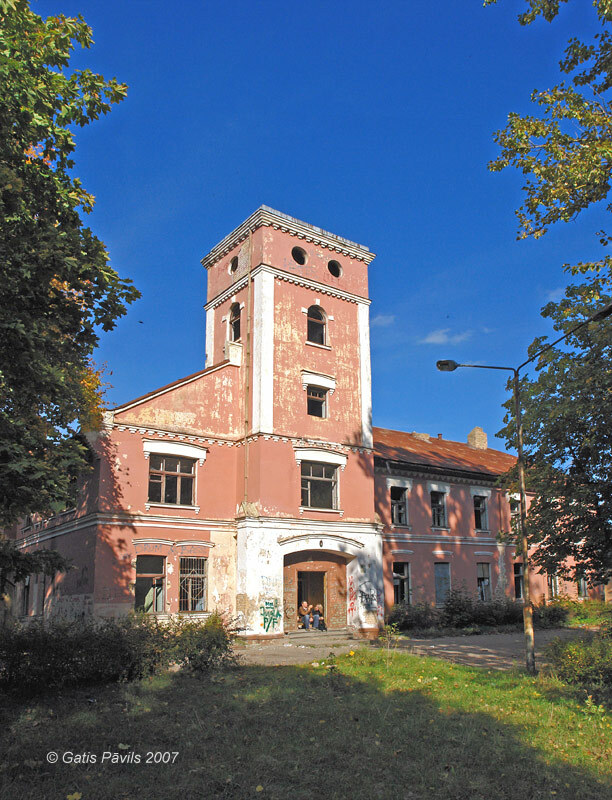 This manor is not seen in the Mellin map of Riga surroundings from 19th century - this could mean that the current manor centre has been inhabited with interruptions. Manor waas property of Freitag von Loringhoffens up to the beginning of 20th century. Later here was arranged Dreilini elementary school. During the Soviet occupation here was located Riga secondary school No., at the end of 1990ies it was renamed to Riga Breksi elementary school. In 2001 due to low number of pupils this school was closed and manor house - abandoned. At the end of 2005 there took place an open tender of architectonic ideas about the development of the centre of this manor - it was organised by developer and owner of this area and the aim was to develop more intense construction, mainly for apartments. None of the proposals won and there is no visible continuation to this idea in the area of palace (June 2009). In March 2008 part of the palace was damaged by fire and area of the palace is fenced since then. Manor house is large stone building with impressive vertical acent - tower above the main entrance. Manor house is surrounded by the remnants of park. Manor of Harm in the map of E.Tolk. 1701. Berga D. Jauna apbūve Harma muižas parkā. Latvijas architektūra (63), Rīga, 2006, p.60. Latvijas piļu un muižu asociācijas mājaslapa, visited in 13th June 2009. Enciklopēdija Rīgas ielas, 2.sējums, Rīga, 2008, p.76.